What do you know about Indonesia? 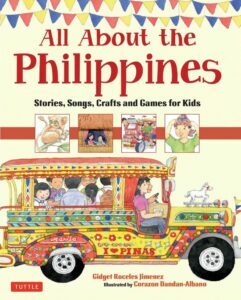 The children and I didn’t know a whole lot about it, but now that we’ve read All About Indonesia: Stories, Songs, Crafts and Games For Kids, we are much-more informed and have a thirst to learn even more about this country full of contrasts. 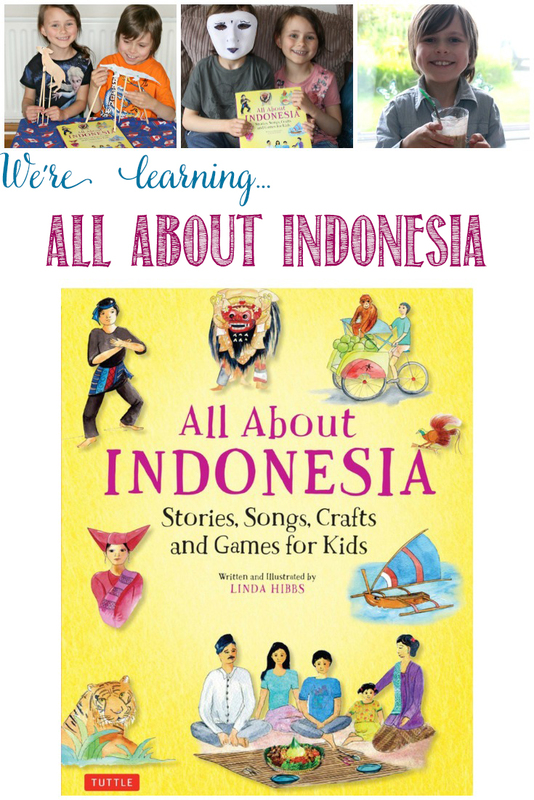 Tuttle Publishing kindly sent us a copy of All About Indonesia: Stories, Songs, Crafts and Games For Kids, written by Linda Hibbs. 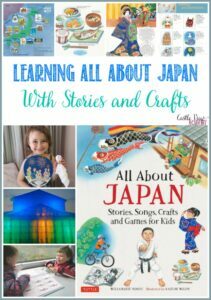 We have previously reviewed All About books on Japan, Thailand, and The Philippines, and within each book there is a plethora of information to fill the mind and Indonesia is no different. From cover to cover it is packed full of life, history, and details of the islands. Come along and learn about a couple of the 17,000 islands that make up Indonesia, including the areas Bali, Java, and Sumatra. The forms of transportation are a mix of both modern and not-so-modern. The climate is very hot and humid, and the geography is varied. For children who have an interest in volcanoes, they will find that Indonesia is on the Ring of Fire and there are over 400 volcanoes here and 100 of them are still active, including Mt. Merapi and Krakatua. Read the short Story of Kancil and see if your children can see the resemblance of this story to the Three Billygoats Gruff! 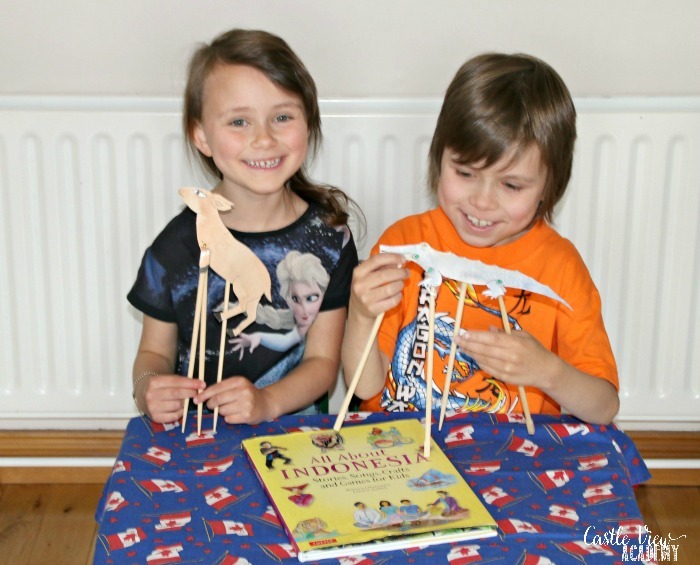 Then kids can make their own shadow puppets of Kancil and Buaya and retell it. Traditional dance is always interesting with the colourful costumes and movements. One dance from Sumatra that is mentioned is from the region of Aceh; the saman dance. This isn’t quite the exact dance, but follows the same style with their rhythmic clapping and arm movements in unison. Can your children do it successfully? 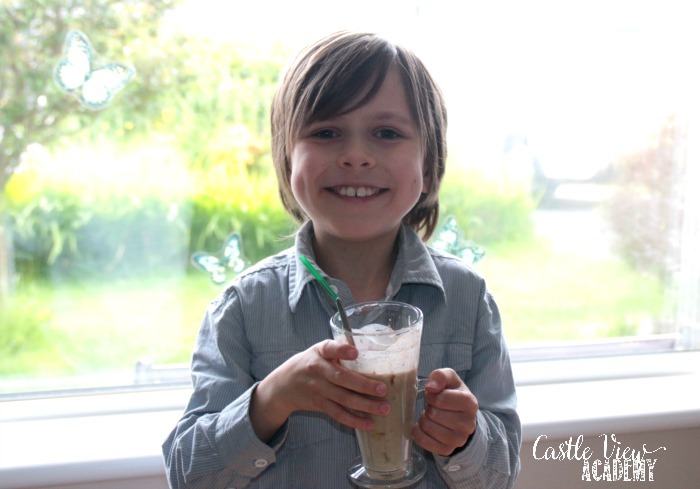 There are some crafts that children can do, and one is for a paper mache mask. We weren’t quite up to the mess of that at the same time as our spring cleaning was underway, but Tristan was taken by one of the masks used for the Topeng Cirebon dance in West Java. He found a mask he had previously coloured for a project and repurposed it by painting over it and then adding in the details with a permanent marker. Of course, we had to try a recipe from this book. We didn’t try a rambutan, however; they are not easily found here, and in April it was reported on the news that a rambutan that had been innocently forgotten in a cupboard at an Australian university library and the resulting smell caused an evacuation due to the smell! Instead, we walked to our local green grocer’s and purchased an avocado to mix with milk for a Jus Alpukat. 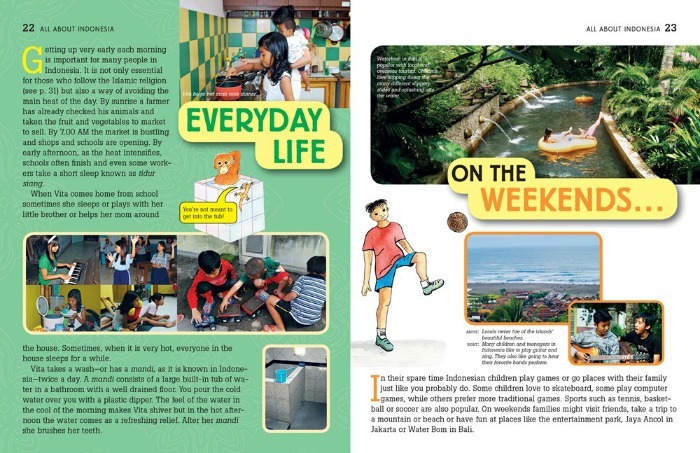 Peppered throughout the book are short little speech bubbles with some Bahasa Indonesia vocabulary words for kids to learn. Some of them are very similar to the same word in English, while others are completely different. This led to a discussion about how languages often borrow words from other languages and incorporate them. READ The Little Book of Tokyo is Small But Mighty! 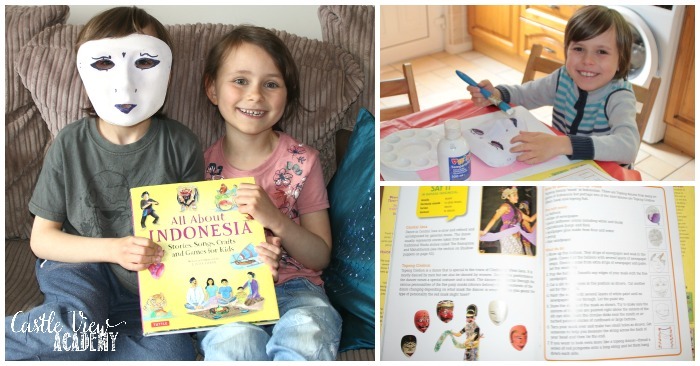 As you can see, there is a lot of information in All About Indonesia, and we have only touched the surface of it, so if your child would like to know more about this fascinating country, take a virtual trip in your armchair with this book. 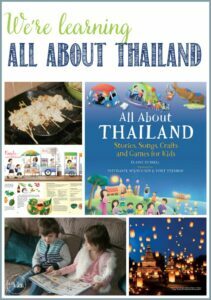 If you’d like to know more or would like to follow Tuttle Publishing, you can connect with them through their website, Facebook, Twitter, Pinterest (and you can see our other Tuttle reviews here). 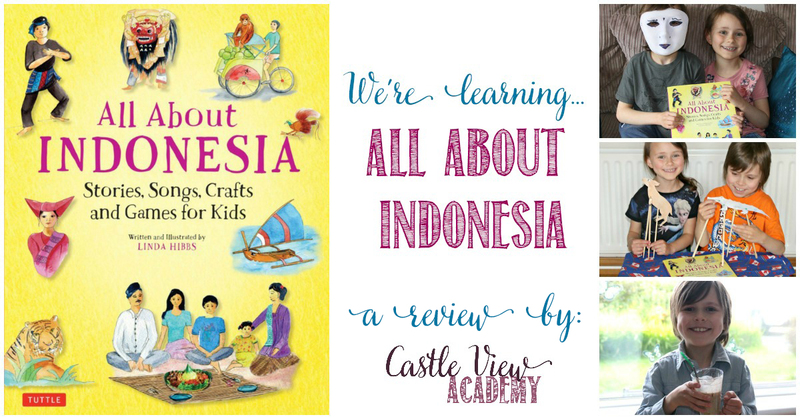 Indonesian children’s book is perfect for educators and parents wishing to teach kids about this rapidly growing Asian country. 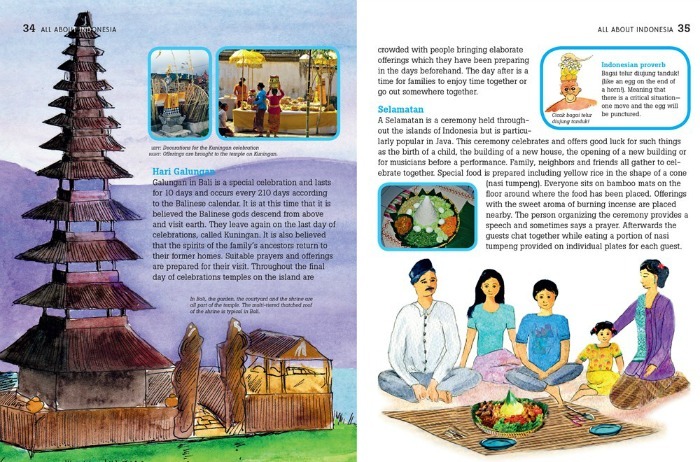 Along the way, young readers will learn about Indonesian culture, history, food, language, and the natural beauty of this fascinating country.